Asset Alliance Group has been named Finance Provider of the Year for the second year running at the industry-renowned Commercial Motor Awards. Judges singled out the business, which has almost doubled its lending facility this year to £145 million, for “growing fast by understanding the needs of operators”. The Wolverhampton-based company, which has additional bases in Scotland, Essex and Hampshire, was also commended for having “quickly commanded an established brand known for providing sound financial solutions in an ever-moving marketplace and industry”. Its independence means Asset Alliance has complete flexibility to recommend and supply any make or model of commercial vehicle, and as the Group uses its own funds it can offer more flexible and tailored finance packages than traditional lenders. He added: “We are especially thankful that the judging panel has again recognised our commitment to provide a fresh and unique approach. 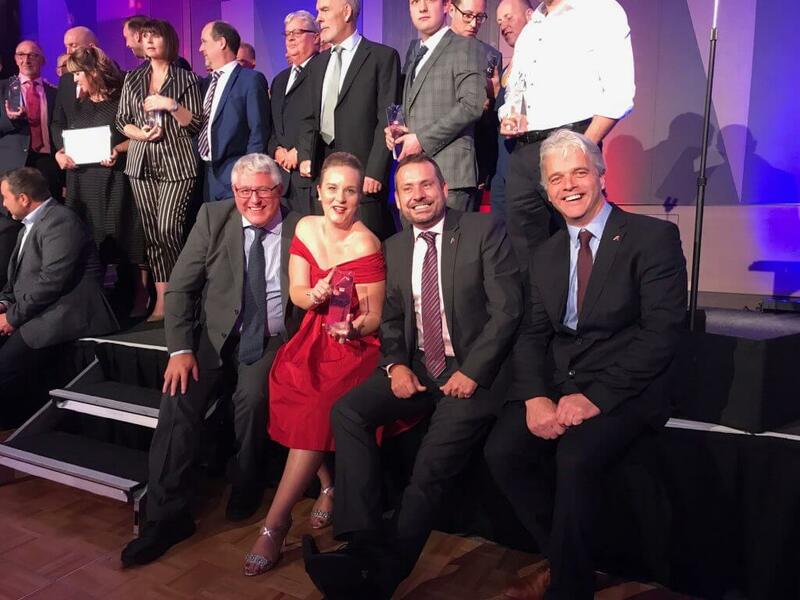 Asset Alliance Group, which was also shortlisted for the Rental, Leasing and Contract Hire Provider of the Year award, has built its reputation on providing a combination of finance and commercial vehicle expertise to fleets of all sizes. The Finance Provider award was presented at a ceremony at The Vox Centre in Birmingham, in front of a host of peers from across the transport and logistics sector. Asset Alliance Group is redefining the way companies acquire commercial vehicles, through its brands Asset Alliance, ATE Truck and Trailer Sales, Forest Asset Finance and Total Reefer. The Group occupies a unique position in the market, as it uses its own funds and significant buying power to supply multi-brand vehicles on any combination of contract hire, operating lease, finance lease or hire purchase. This flexibility, combined with a transparent and consultative approach, helps customers drive maximum efficiency from their fleets. Asset Alliance Group also stands out for maintaining full control of residual risk through its retail arm ATE Truck and Trailer Sales, which protects customers from overly strict return conditions commonplace in the industry. Its modern workshop facilities also keep end-of-life costs to a minimum and provide the opportunity to refurbish vehicles in-house for an additional life in service. The Group is headquartered in Wolverhampton and was founded in 2010 by Willie Paterson, former Director of Commercial Finance at Alliance & Leicester plc.